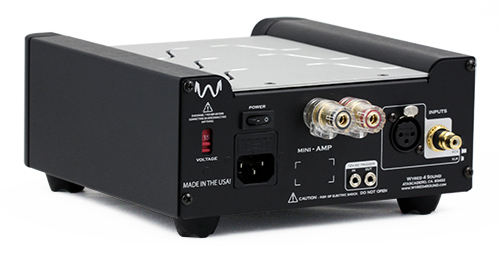 Utilizing the latest generation of ICEpower® technology with a completely redesigned input stage, the mAMP is a highly efficient amplifier that delivers superior audio quality. 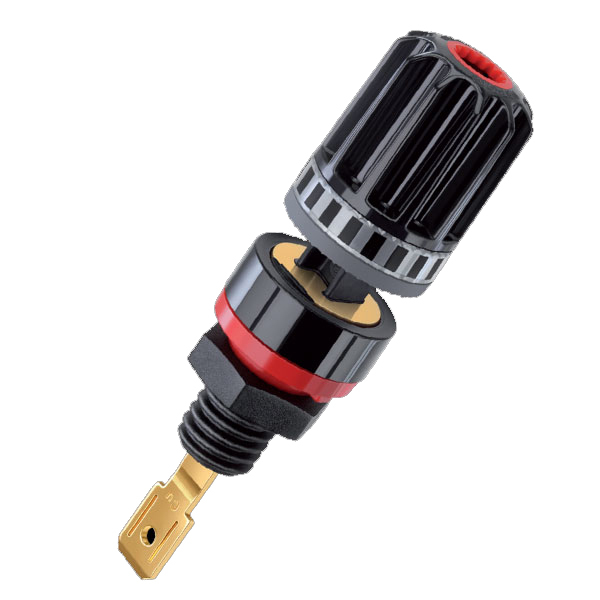 Using dual 14AWG OFC wiring direct soldered to gold plated 5-way binding posts, the mAMP yields exceptional micro-dynamics and transparent power to your speakers. The mAMP’s input stage has been meticulously refined to optimize frequency response producing smooth upper-mid frequencies while keeping bass extension low and tight. Regardless of input type, the high quality dual differential common mode converter (derived from our DAC-2) feeds the amplifier with a pure balanced signal that isolates problematic impedance mismatches. Third generation technology significantly reduces the detrimental effects of a noisy source through balanced circuitry, audio grade capacitors, and a quad-paralleled FET buffer. While in standby, power consumption is less than 0.5w with idle power loss under 10 watts. 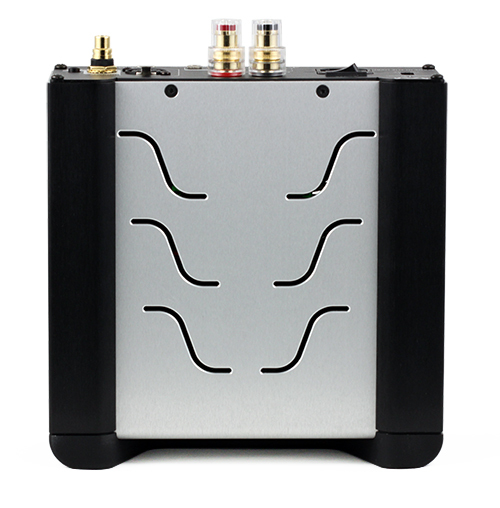 The mAMP’s monoblock form factor allows you to use a short speaker cable for each channel by placing the amp in near proximity to each speaker, reducing the cost of speaker cable while improving the performance of your system. An attractive anodized finish surrounds a rigid industrial design that is immune to the frequencies and vibrations generated by the various components in your HiFi system. Under the Select Options dropdown, you can choose to upgrade the internal wiring and binding posts of your mAMPs! We replace our usual OFC internal wiring with premium Kimber TCX wire, a 14 ga. multi-gauge/multi-strand OFC wire for improved transparency and sound. We also replace our normal binding posts with high-end, German-made WBT nextgen® binding posts for a better fit and connection. Consider this upgrade to maximize the performance of your mAMPs. They even kept pace with my twice as expensive tube amp. The fact that they are lightweight, efficient, and affordable is only icing on the cake. 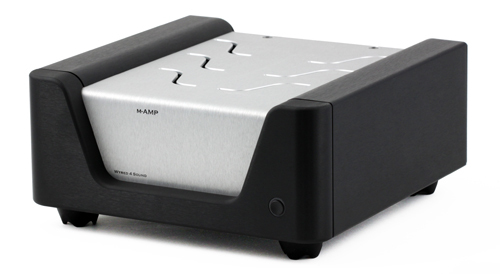 In addition to being an excellent partner for a direct-to-DAC setup, the mAMP makes a great next step for those looking to move up from a budget integrated into an even more “separates” realm. The sound stage/imaging I was hearing was another pleasant surprise. Again, my speakers had never sounded this good. I'm in fact convinced that our trio would stand up supremely well to April Music's $6.500 Stello AI700 whilst adding DAC/headfi functionality to further sweeten this very sweet deal. This Wyred4Sound trio is truly exceptional. DAR-KO award. Even with my own live concert recordings, some of which have a range of more than 50 dB from loudest to softest, the mAMP rendered dynamics with the same level of bravado as the Pass amplifier.